This card is one of my rare clean & simple cards. The cardbase is Neenah Solar White 80 lb. cardstock. 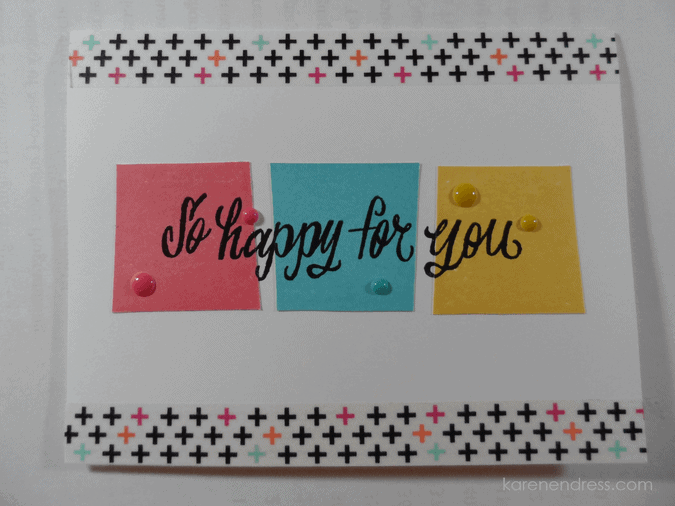 I centered and stamped one of the sentiments from the Lawn Fawn Grand Greetings set in VersaFine Onyx Black pigment ink and embossed it with WOW Clear Gloss embossing powder. 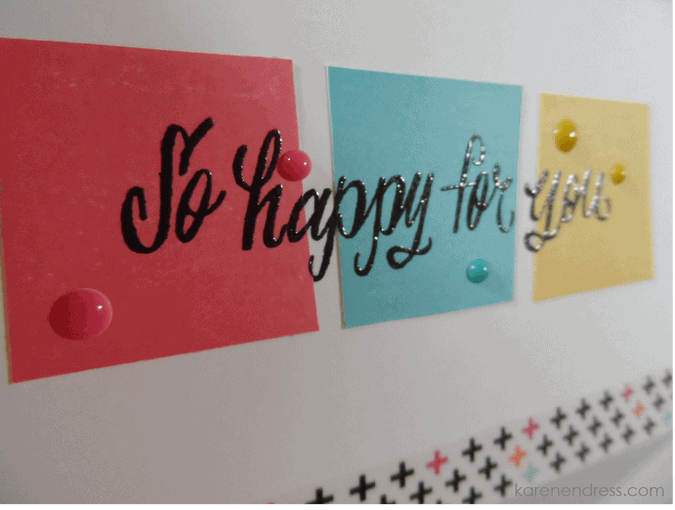 After I stamped the cardbase, I stamped the Rubber Stampede “Skewed Square” in the Hero Arts Shadow Inks Pale Tomato and Butter Bar and Ranger Archival Aquamarine. I lined the squares up on scrap paper the way I wanted them on the card, turning the center one upside down for variety. I stamped the sentiment again over the squares and embossed each one separately with the clear WOW. 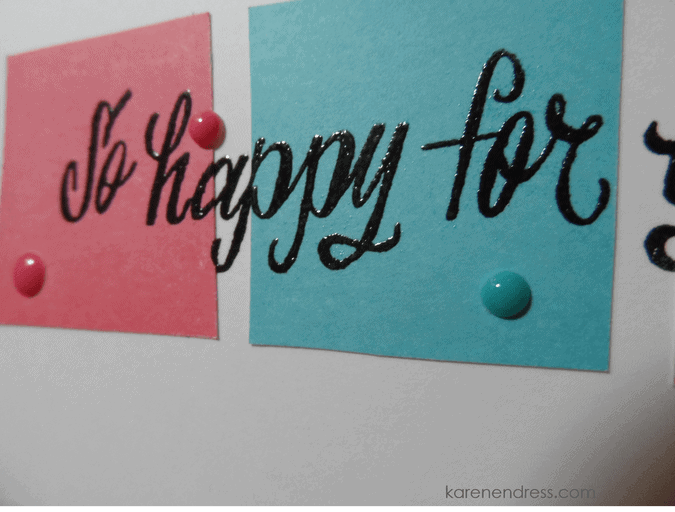 Once they were dry, I lined them up over the sentiment on the cardbase and adhered them with some Tombow tape runner. For the finishing touches I found a coordinating washi tape and just the right colors of enamel dots in my stash. Don’t you love when that happens? Hope you’re finding time to get crafty!